The Book of Lost Fragrances by M.J. Rose (my review) is a suspenseful mystery that takes readers through time from Egypt to present day New York City and Paris. As with her other books in the series, Malachai Samuels is seeking memory tools to aid in his reincarnation work, but there is more at risk here as friends of his are endangered by his search and are embroiled in international political struggles. Today, I’ve got a treat for my readers from the author about what inspired her to write about lost fragrances in her latest reincarnationist book. Without further ado, here’s M.J. Rose; Please give her a warm welcome. A creation that came well ahead of its time, Le Feu d’Issey was launched amidst countless androgynous, unisex releases in the mid 90s, and represented the polar opposite of the scents that found their success at that time. Sichuan pepper, amber and benzoin leant a combustable warmth to the composition, whilst Japanese lily, Bulgarian rose and lactic milk accords an opulent facet. Regarded as a huge commercial flop upon its release, Le Feu d’Issey is a perfume which many look upon now, some 15 years later, as an abstract masterpiece. The Book of Lost Fragrances by M.J. Rose continues the search for the 12 memory tools that Malachai Samuels continues to search for as part of his research and obsession with reincarnation. The novel focuses not on Samuels per se, but on the history of the L’Etoile family and their development of perfumes and fragrances. Jac has given up the family business, even though the family has insisted that she has the more discerning nose for scent, but her brother Robbie continues to believe that their family business can be saved from the brink of bankruptcy through the development of a new line of scents rather than from the sale of their trademark scents. Rose weaves Napoleonic history with that of China and the oppression of Tibet and then brings those ties even further back into history to Egypt and Cleopatra. In addition to archeology, her characters delve into mythology, history, and hieroglyphics translation and more, creating an even denser and more mysterious novel than expected. How these moving pieces come together is unexpected and absorbing. Through shifting time periods and places, readers travel with Rose’s characters to the deep recesses of their past lives, their memories, and their discoveries, while at the same time feeling the time pressure build as the House of L’Etoile draws nearer to demise and Jac’s brother Robbie disappears following a murder. Jac must confront the loss of her mother and the expectations of her family as she strives to find her brother, find the perfume that people would kill for, and stay alive and grounded. Jac must learn that forgetting or ignoring the past will not help her move into the future; she must accept what has happened, take it into herself, and move forward with those memories as a part of her. Meanwhile, Xie, a young calligrapher and artist in China, is living a secret life as a subversive. Outwardly, he is the model citizen never saying too much but always thankful for opportunities presented to him by his teachers and the government. He’s eventually chosen along with other artists to leave China on a European tour with their artwork, which makes him incredibly nervous given his communications with outsiders through his paintings. He strives to free Tibetans from Chinese rule. Although he is friends with others who are more outwardly subversive than he is, he tries desperately to rein in their tendencies, which could get him in trouble as well as ruin all of his plans. The Book of Lost Fragrances by M.J. Rose blends history and mystery in an intellectual game of espionage and mythology surrounding a lost book of fragrances from the time of Cleopatra and a perfume that can help those who smell it relive their past lives. But the novel also is about finding one’s soul mate, rekindling lost faith, and persevering against all odds. Another winner from Rose in her series of books that will keep readers guessing adn second-guessing themselves until the memory tolls are discovered. M.J. Rose is the international best selling author of eleven novels and two non-fiction books on marketing. 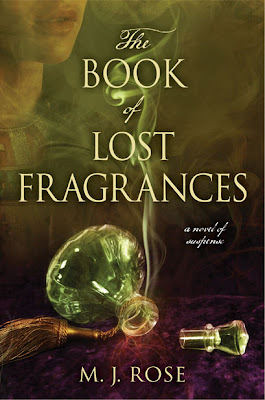 Her next novel THE BOOK OF LOST FRAGRANCES (Atria/S&S) will be published in March 2012. Her fiction and non-fiction has appeared in many magazines and reviews including Oprah Magazine. She has been featured in the New York Times, Newsweek, Time, USA Today and on the Today Show, and NPR radio. 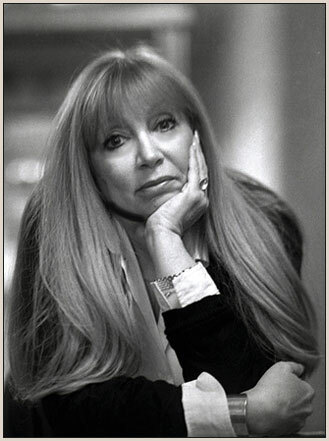 Rose graduated from Syracuse University, spent the ’80s in advertising, has a commercial in the Museum of Modern Art in NYC and since 2005 has run the first marketing company for authors – Authorbuzz.com. The television series PAST LIFE, was based on Rose’s novels in the Renincarnationist series. She is one of the founding board members of International Thriller Writers and runs the blog- Buzz, Balls & Hype. She is also the co-founder of Peroozal.com and BookTrib.com.